1. Elecciones parlamentarias de Venezuela de 2015, Wikipedia, la enciclopedia libre. 2. 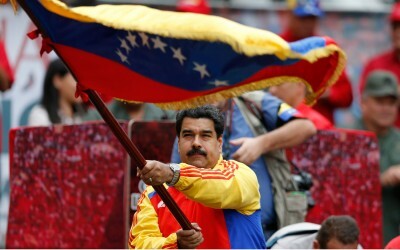 The End of Chavismo? Why Venezuela’s Ruling Party Lost Big, and What Comes Next, The Nation , December 10, 2015. 3. Capital controls were first imposed in 2002-03 in order to stabilize the currency and stop a flight of capital resulting from a bosses’ shutdown of the oil industry in the wake of their failed attempt to oust Chávez in a coup. 4. Wilpert is the author of an excellent book on the Chávez years: Changing Venezuela by Taking Power (Verso, 2007). 5. See, for example, Sinfonía de un Desfalco a la Nación: Tocata y fuga… de Capitales. 6. See El sacudón electoral del 6D como crisis revolucionaria y motor de saltos cualitativos hacia el Socialismo Bolivariano , www.aporrea.org/poderpopular/n283366.html and www.aporrea.org/poderpopular/n283410.html. 7. There are now more than 45,000 communal councils and 1,430 communes established throughout Venezuela. Most of the communes have been established since Hugo Chávez’s famous speech to his cabinet El Golpe de Timón just after his election in 2012 and shortly before his death in March 2013, in which he urged his ministers to prioritize the construction of communal democracy. 8. Constitución de la República Bolivariana de Venezuela, art. 336. Here is an English translation. 9. A leader of Acción Democrática, he is also vice president of the Socialist International!